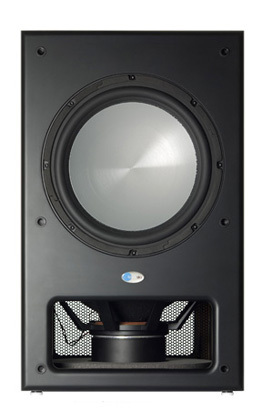 Blue Sky Introduces SAT 265 | abluesky.com : Audio Design Labs Inc.
Making the subwoofer an integral part of the monitoring system design enables the SAT 265 studio monitor to be positioned for the best imaging, and the SUB to be positioned for the best bass response. 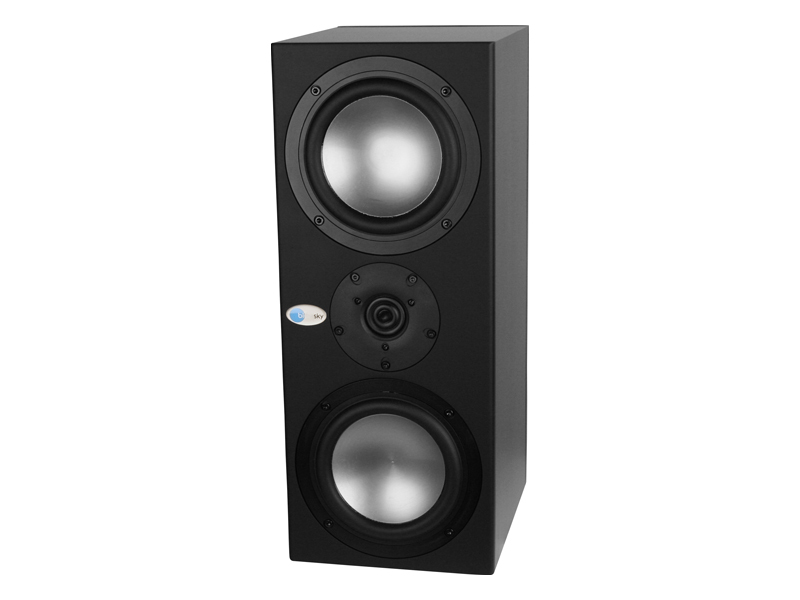 Relieving the SAT 265 studio monitor of the requirement to reproduce the low frequencies means that the uncompromising sealed-box design can combine with sophisticated bass management electronics, to provide a seamless transition between the SAT 265 and SUB. It all adds up to accurate, full range sound. The SAT 265 has been designed to integrate perfectly with Blue Sky’s new SUB 212, a sealed box, push-pull, 400-Watt subwoofer. 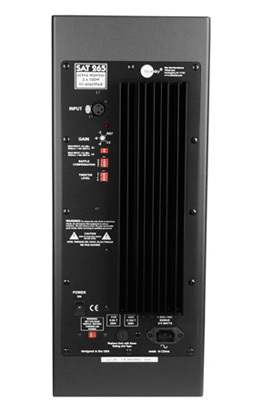 The push-pull configuration reduces distortion, provides increased output, and features an anechoic frequency response of 25Hz to 200Hz, +/-3dB. 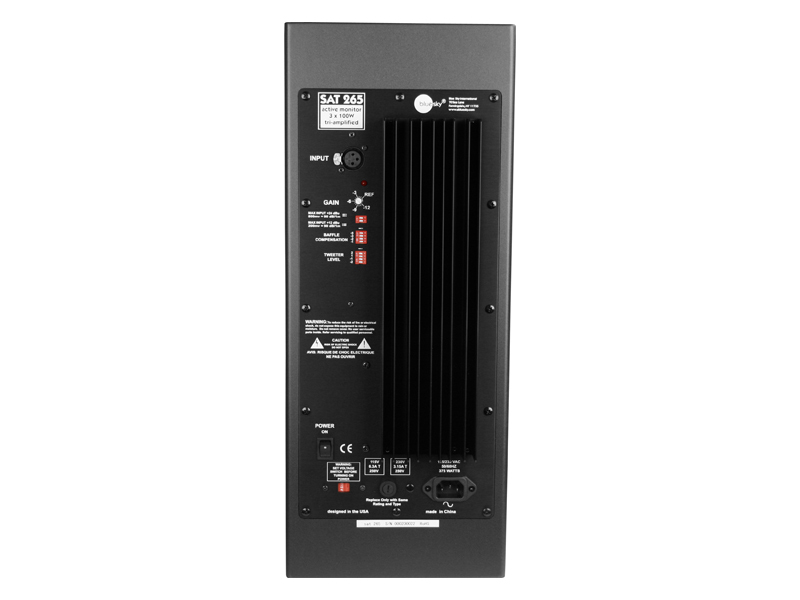 In addition, the SUB 212 also has built-in 2.1 bass management electronics with both a 4th order 80Hz Linkwitz-Riley low-pass filter and a 2nd order 80Hz high-pass filter that is perfectly matched to the response of the SAT 265 (the SUB 212 is also compatible with the SAT 265, SAT 6.5 and SAT 5). When combined, the SAT 265 and SUB 212 provide a stunningly accurate and engaging, full-range monitoring system. 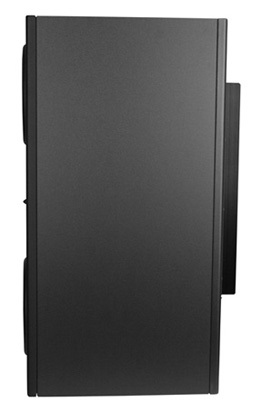 Blue Sky’s SUB 212 is a sealed box, dual 12”, push-pull, 400-Watt subwoofer. 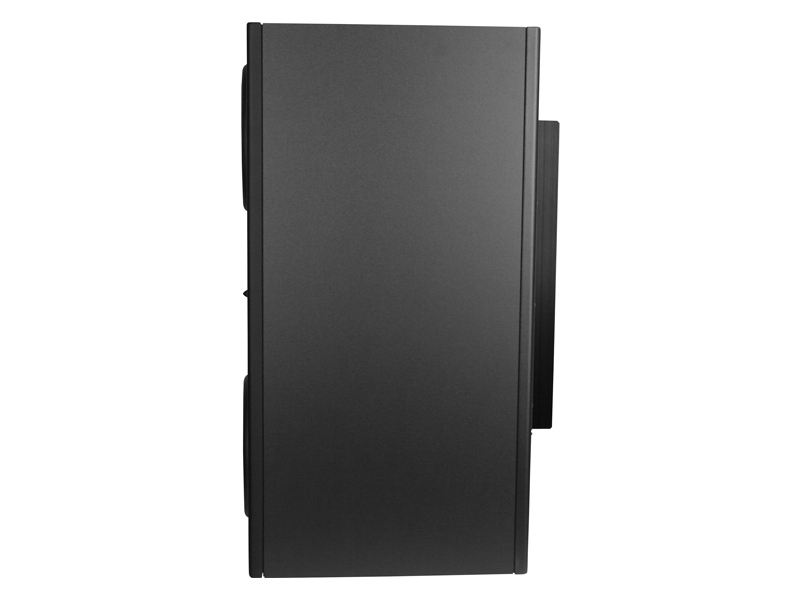 It features an anechoic frequency response of 25Hz to 200Hz, +/-3dB. In addition, the SUB 212 also has built-in 2.1 bass management electronics with both a 4th order 80Hz Linkwitz-Riley low-pass filter and a 2nd order 80Hz high-pass filter that is perfectly matched to the response of the SAT 8 (the SUB 212 is also compatible with the SAT 12, SAT 6.5 and SAT 5). The SUB 212’s unique “push-pull” configuration is designed not only to increase output, but also to reduce distortion. A push-pull subwoofer uses two drivers: one mounted facing forward, the second mounted backward with the magnet facing out. 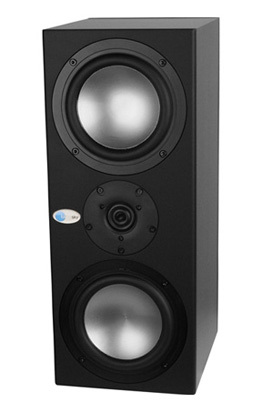 Utilizing two drivers doubles the maximum output, while the push pull configuration reduces even harmonic distortion. 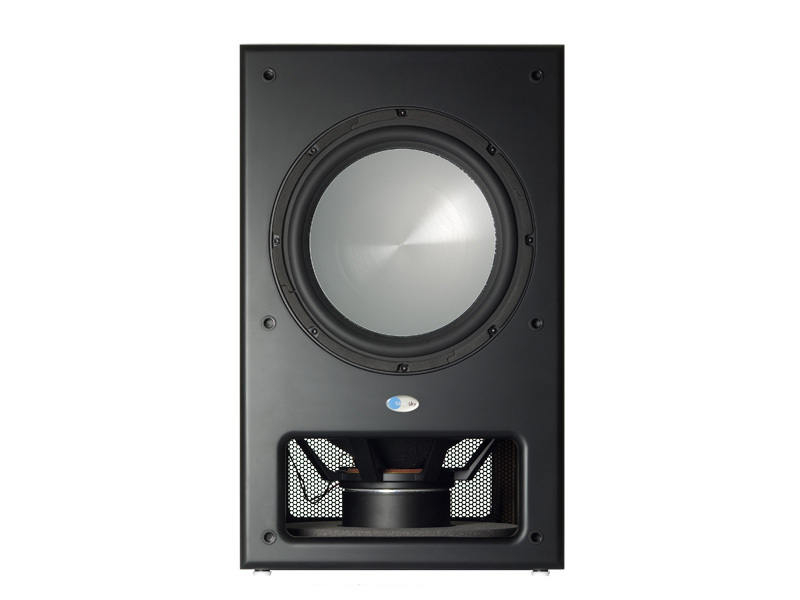 Typically, in a more conventional design, at high output levels, second harmonic distortion dominates the distortion spectrum of most subwoofer drivers and is caused by asymmetric operation of the suspension and magnetic structure. In simple terms; the output of the driver is slightly different when the cone is moving away from the magnet, as compared to when it is moving toward its magnet. Push-pull operation reduces this even harmonic distortion in a clever application of physics. As mentioned before, push-pull uses two drivers, one reversed from the other. The bottom driver has its magnet facing out of the box and is driven electrically out–of–phase from the front driver, which keeps both drivers acoustically in phase. However, when the front driver’s cone is moving away from its magnet, the bottom driver’s (reversed) cone is moving towards its magnet. This puts the even harmonic distortion components of the bottom driver out-of-phase with the front driver. When you combined the outputs of both drivers, the even harmonic distortion of both drivers cancels, reducing the overall distortion of the subwoofer.